As Director of the Center for Addiction and Recovery Studies (CARS), based at The University of Texas at Arlington, Dr. Debra Woody oversees programs that work to help some of the most heartbreaking victims of the opioid crisis: pregnant women and the babies to whom they give birth. It is difficult work, says Woody, who is also Associate Dean for Academic Affairs at UTA’s School of Social Work. Many pregnant women who are addicted are hesitant to seek prenatal care, or help for their addiction, out of fear that their newborns (or older children) will be removed from their custody. Even for those who do seek help, opioid addiction is hard to break. And parenting newborns is tough for everyone. It can be particularly tough for women who are fighting to get or stay in recovery, who are often poor, and who may not have a sober partner or much family or community support. It is not hopeless work, however, says Woody. “Most women want to be able to care for their babies. Not all women. But most do, and we work to help make that possible,” she says. 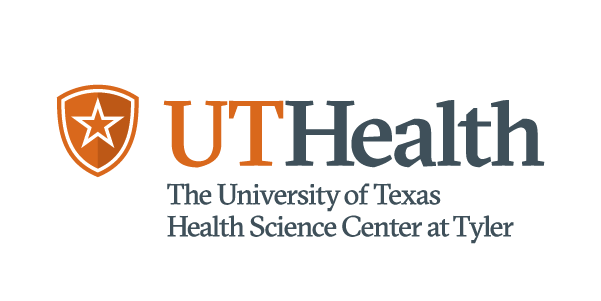 Texas Health Journal spoke to Woody about the Center, working with pregnant women with addictions, and teaching students to work and hope for the best but accept the possibility of the worst. Texas Health Journal: Tell me about CARS. Debra Woody: Cars is the Center for Addiction and Recovery Studies, based here in the School of Social Work at UT Arlington. I have been the Center director since 2006. We are funded primarily by the Mental Health and Substance Use division of the Texas Health and Human Services Commission, and we do basically three things. We provide substance abuse services and training in the community, we do research, and we educate and train social work students. I’m interested in the community aspect of your work, and how it intersects with the opioid crisis. Can you tell me a bit about that? We have two main programs where we’re going out into the community. Neither of them are exclusive to opioid use—they’re focused more broadly, on substance use and abuse—but as you might imagine, opioids are more and more at the center of that. The smaller of the two programs is a school-based program, funded by DSHS, in which we work with students in the Grand Prairie Independent School District. These are students who are identified by their counselors as being at risk for substance abuse. They’re given a ten session program in which they learn about alcohol and drug use, learn refusal skills, set goals, and discuss how substance use can get in the way of achieving those goals. The program is run by professional social workers, and it also involves social work interns, most of whom are MSW students at UTA. So it’s also serving the educational and workforce development part of our mission. Our other program, New Connections, is what’s known as a Pregnant-Postpartum Intervention (PPI) Program. This work is primarily in Dallas, and it is focused on helping pregnant and postpartum women who are using, or are at high-risk of using. It includes parenting classes for women who are referred by community partners. We work with women who are already involved with Child and Protective Services, and may already have lost custody of another child. We go out into the community to find pregnant women who may need services. Broadly speaking, we’re providing case management to women who are pregnant and are using or are only very recently in recovery. The goal is to get them good treatment, provide necessary social services and supports, and ultimately facilitate parenting in recovery, including, if possible, reuniting them with children who have removed by CPS. How do you do that? How do you help someone in that dire a situation? Most women want to be able to care for their babies. Not all women. But most do, and we work to help make that possible. At the heart of it is case management, is thinking about the whole arc of pregnancy, delivery, and post-partum and what kinds of services and supports will create the best opportunity for the mother and baby to flourish. That includes facilitating substance abuse treatment, including medications like methadone or Suboxone if appropriate. It includes working with the nursing staff, physicians, medical interns, and others to make sure the women receive attentive care. It also includes assessments, development of a service plan, implementing intervention strategies, and facilitating evidenced-based parenting in recovery psychoeducational groups. One thing that we are really emphasizing, going forward, is working to strengthen the bond between the women and their newborns. The research shows that the stronger the bond, the more likely the mother is to provide a safe, caring environment, and it also contributes to her recovery. So we focus on things like increasing the number of women who keep the baby in the room with them while they’re in the hospital, and increasing kangaroo care, which involves a lot of skin-to-skin contact. If their babies have to stay in the NICU, we try to increase the number of visits. You mentioned that some of your students work in the school-based program. Do they work in the PPI program as well? Yes. We have five specializations in the School of Social Work, one of which is mental health and substance abuse. Most of the students who come to CARS are the mental health and substance abuse students, and among that group some of them do their clinical internships in the PPI program. It depends on their interest. They work under a lot of direction. They are required to have to have regular weekly supervision of at least an hour or more. We also provide group supervision every week, and because it is such intense work, we often end up doing considerably more than that. I was going to say. It sounds like a lot for a student, even a graduate student, to handle. It is, but it is also important. These are students who are interested in doing this kind of work. They’re passionate about it, and it is important for us to give them real world experiences, so that they’re prepared when they join the workforce. I imagine you get a lot of students who want to save the world. But addiction is rough. I would think it would be hard for them to deal with how often, I’m guessing, they can’t save some of their clients from addiction. One thing we teach our students from the very beginning is the idea of self determination. We offer people options, and we work to make sure they have the resources to really have choices, but people have the right to make their own decision about what direction they want to take. Some of the women may never get their children back. Some may not be able to follow through on what CPS demands of them, including separating from a companion if that companion continues to use. Some women will prove capable of amazing things. For many women, not having their child is a big motivation. But it is hard to stop using. Part of what we provide to students is supervision on how to deal with the fact that the client may make another decision for herself. It is not easy, but it is part of the work, and it is important work.